With the end of summer quickly approaching and fall just over the horizon, most homeowners are finishing up their summertime projects and changing gears as the kids start heading back to school and we start to officially move into the latter half of the year. With that being said, the fall months aren’t the time to push home maintenance to the side. In fact, there are a number of elements around your home that can greatly benefit from some attention this fall, one of them being your home’s heating system. 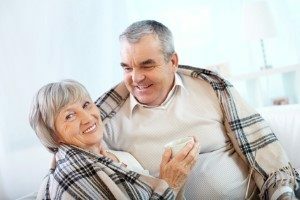 One of the best things you can do for your home’s heating system this year is to have it professionally tuned up this fall before it has to go into use as the temperatures start to drop in the coming months. To help highlight the importance a fall heating tune up, our team of skilled Buffalo heating contractors have taken the time to put together this short list going over several of the most important reasons to invest in this service, and what it can mean for your home. One of the most important reasons to get a fall heating tune up is to ensure that your home’s furnace or heat pump is prepared and ready to jump into action as soon as the temperatures start to dip lower. Waiting to get this task done until late fall or winter has already arrived usually means that you wind up having to wait longer for your service, as most heating contractors typically see a rise in demand for their services as homeowners go to start up their heating systems, only to find that they have an issue they never resolved from the previous year. Being proactive with your heating system’s care can go a long way in ensuring that you make it through the season comfortably. Another excellent benefit of maintaining your heating system this fall is that you can go into the winter with your system operating at peak performance and peak efficiency. During the course of your tune up, our team of skilled professionals will go through and check every component of your heating system to ensure that everything is working like it should, and go ahead and take care of any potential issues that could morph into something more serious in the coming months without attention. Having a more efficient heating system in your home goes hand in hand with lower energy bills, which can be a big help during the coming holiday season, as most homeowners are keen to save a few dollars wherever they can. With a proper tune up, you can have your heating system working at peak efficiency this fall and winter, helping to keep your home toasty and warm without breaking the bank in the process. If you have a newer heating system in your home, chances are that it will likely have a manufacturer’s warranty of some kind to give you a degree of coverage in the event that something goes wrong. Many homeowners are unaware, however, that the find print usually says that you need to have your system professionally maintained at least once per year in order to keep your warranty valid. Fortunately, your fall heating tune up can satisfy this requirement, letting you keep your system in good shape, and making sure that your warranty stays intact in the event that something major goes wrong.